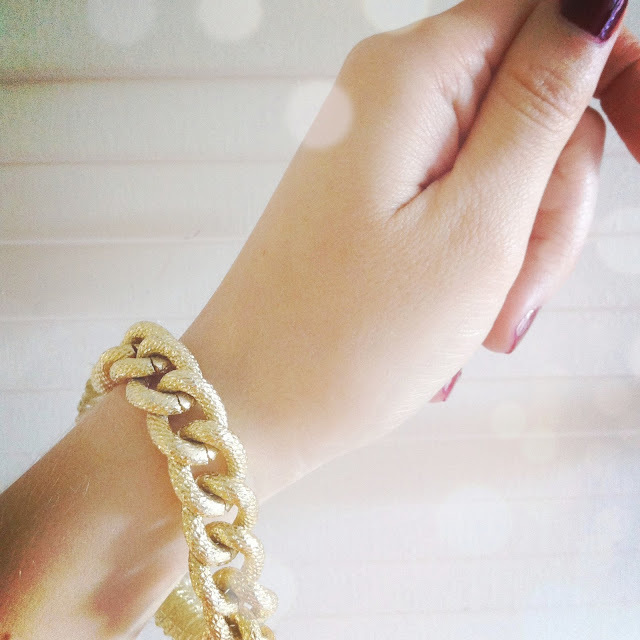 On my wrist: a new chain link bracelet. I am loving how sparkly it is when I hold it up to the light! On my nails: essie Bordeaux, a gorgeously deep burgundy color. That bracelet is gorgeous. It sparkles!!! How great. Love the nail color and the bracelet is stunning! Love the bracelet! I have been craving link jewelry for some time now!